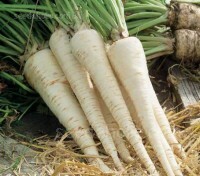 The first organically available hybrid radish, Radish 'F1 Celesta' is a vigorous, quick growing, high quality variety with good resistance to downy mildew, ideal for combating wet conditions. 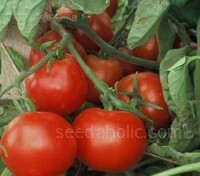 It gives very uniform round bulbs, with a bright red bulb colour and very good internal quality. Organic Seed. 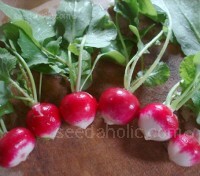 Radish 'Long White Icicle' is a lovely white spring radish, that is ready for harvest in only 25 days. 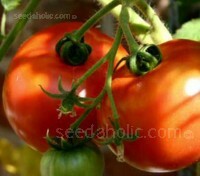 Plant a small crop every two weeks to guarantee a continuous harvest. Perfect for folks who want a crop in hand by the time the first robin sings. Organic Seed. 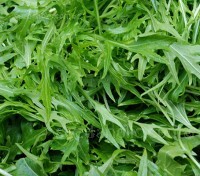 Cultivated Rocket, also known as arugula is a classic salad rocket, it is popular in Italy and Southern France, where it has been grown and eaten for centuries. 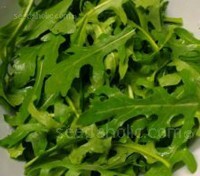 Typically found in mesclun mixes, It is ideal as a bed for seafood but also makes a wonderful salad on its own. Organic Seed. 'Wild' Rocket, also known as perennial rocket has a more intense flavour than annual varieties and can be grown outdoors all year round. 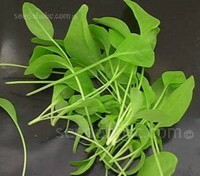 Suitable to container growing, use as a baby leaf in salad mixes. It can be 'cut and come again' two to three times. Organic Seed. Hamburg Parsley 'Berliner' has edible large flat, parsley-like leaves but should not be confused with common curly parsley or Italian flat leaf parsley, as neither produce edible roots. 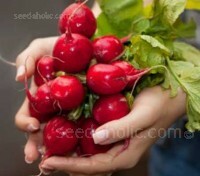 It is a specific variety grown for as a root vegetable rather than an herbaceous green. Organic Seeds. Sorrel De Belleville is a small French cultivar. 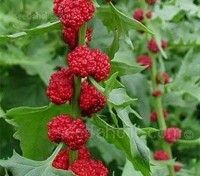 It is hardy and well-proven to be productive under almost any conditions with an excellent lemon flavour. One of the earliest green crops and embarrassingly easy to grow, it needs no attention other than when you want to eat it. Organic Seed. 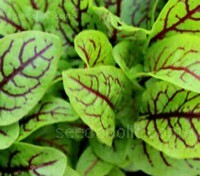 'Red Veined' Sorrel is valued for its pointed and bright lime-green leaves. It is one of the earliest green crops and can even withstand freezing winters. 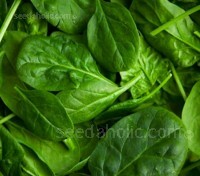 Once established, it can be treated as a 'cut and come again' crop and should produce greens for 8 to 10 years. Organic Seed. 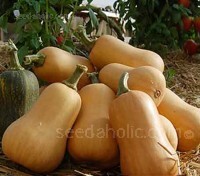 Most people initially grow Uchiki Kuri squash because of its similarity to the familiar pumpkin. 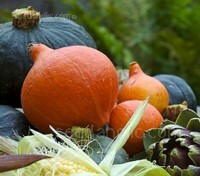 What they will not have anticipated is finding it a far superior squash to pumpkin. If you believe that they are only fit for Halloween lanterns allow yourself to be converted. Organic Seed. If you grow only one squash, grow butternut. Simple to grow and maintain in a sunny spot with fertile, well-drained soil, they can be stored for months and last all winter long giving months of great eating … even if they are beige! Organic Seed. Tatsoi is suitable for both baby leaf and whole head production, it can be harvested anytime during growth, with a mild mustard flavour and good crunchy texture. 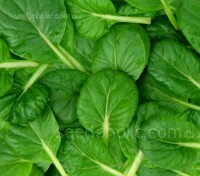 It has a wide variety of culinary uses, use in salads, soups and in stir-fry. Organic Seeds. An heirloom variety of German origin, this bright red, golf ball sized tomato has the kind of perfect sweet and acidic balance that you normally find in larger, late season tomatoes. Easy to grow and very early maturing, it ripens 55 days after transplant. Organic Seed. Although 'St. Pierre' looks superficially like any old red, round tomato, the plants are reliable and disease resistant and will produce superior quality, full flavoured fruits even in cooler climates. They will often continue to fruit right up until the first frost of the season. Organic Seed. 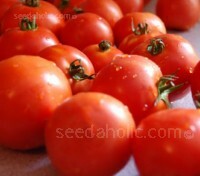 Tomato Marmande is a French heritage variety, the favourite large-fruited tomato of Provence famous throughout Europe. 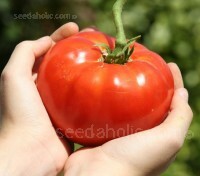 It is a classic beefsteak tomato with meaty fruit that has a superb flavour. Perfect for both salads and for cooking. Organic Seed. 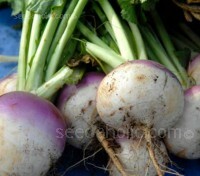 Red Top Turnip. Heritage (Italy pre 1888). 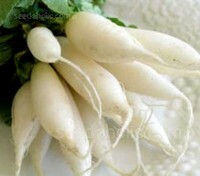 Introduced before 1888 Purple Top Milan has smooth creamy-white flat roots with bright purple shoulders and pure white flesh of choice quality. 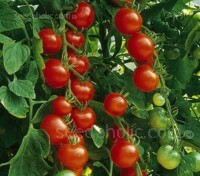 Quick to mature and early cropping, it is an ideal 'catch crop' between slower growing vegetables. Organic Seed.